EATON — Plans for the annual Preble County Chamber of Commerce Business Expo continue, and booths are already filling up as vendors sign on. 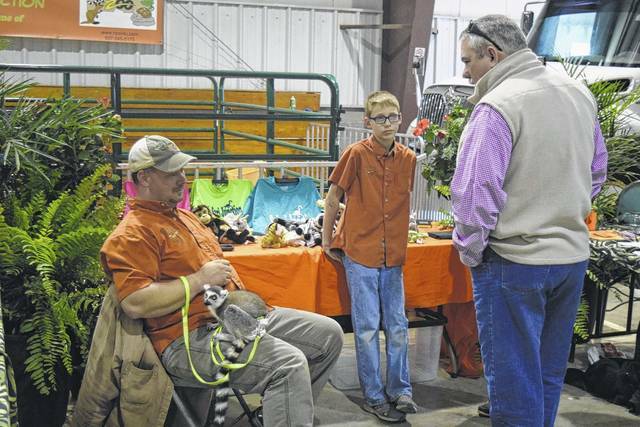 This year’s Expo is set for Friday, April 12, and Saturday, April 13, in the Expo Building on the Preble County Fairgrounds in Eaton. The event includes a wide variety of businesses, nonprofits, service groups and local organizations participating. Vendors include lawn, garden and landscaping companies, insurance and banking institutions, home repair and improvement businesses, healthcare, animals, RVs, auto and motorcycles, technology and marketing companies — and more. Admission is $1. There will be food vendors on site, and for the second year in a row, a “Kids Corner” with activities for children, and visits with the animals of Safari Junction. The Expo runs from 3-8 p.m. on Friday, and from 9 a.m.-3 p.m. on Saturday. The Preble County Business Expo is held each year at the Business Expo Center located on the Preble County Fairgrounds in Eaton. This two-day event averages approximately 100 vendors and attracts over 1,000 attendees each year. Registration and payment options are now available online. For additional information, or to sign up as an exhibitor, sponsor, or food vendor, visit http://www.preblecountyohio.com/events/details/preble-county-business-expo-106, or call 937-456-4949.